Today's celebrations are suppose to be uneventful and fun. In two communities, fatal events made it a stressful day across the United States. A joyful Fourth of July celebration in Bangor, Maine, turned tragic when a man fired dozens of shots at police during a four-hour standoff, forcing the rerouting of the town’s parade, and a man driving a tractor in the parade was later killed in a freak accident. The suspect in the standoff, Perrin Oliver, 43 of Bangor, described as despondent by police, was arrested about 12:20 p.m. at his home on Park Street near where the parade usually ends. Oliver was transported to the Penobscot County Jail and charged with criminal threatening and aggravated reckless conduct with a firearm, Bangor Police Sergeant Paul Edwards said in a statement. No injuries were reported during the incident, which began about 8:30 a.m., although the shooter allegedly fired close to 40 rounds of ammunition, said Bangor Police Sergeant Catherine Rumfey. The Bangor police special response team completely shut down the area and asked residents to either leave or stay indoors, said Edwards. Oliver allegedly fired at officers out his apartment window, said Edwards. The police department’s robot and response team officers fired tear gas into the suspect’s apartment before arresting Oliver, said Edwards. The police seized a handgun as evidence and the department is investigating, said Edwards. At 12:40 p.m., shortly after Oliver’s arrest, the fatal accident happened during the parade at Main and Water streets. 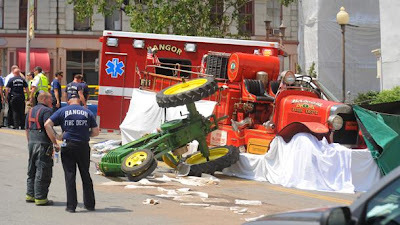 An officer on the scene reported that a man operating a green tractor turned right onto Water Street and was struck from behind by a vintage Bangor Hose 5 Fire Museum fire truck. Source. The name "Perrin" comes from the same root word for "Peter," meaning "rock," and some have said that "Perrin" means "little rock." "Bangor" is from the Irish, "Beannchar," meaning "uncertain." Bangor has suffered it's fair share of "accidents, natural disasters and infamous incidents." It was unclear if the change of the July 4, 2013 parade route contributed to the wreck and the fatality. Meanwhile, another fatality occurred at another July 4th parade. 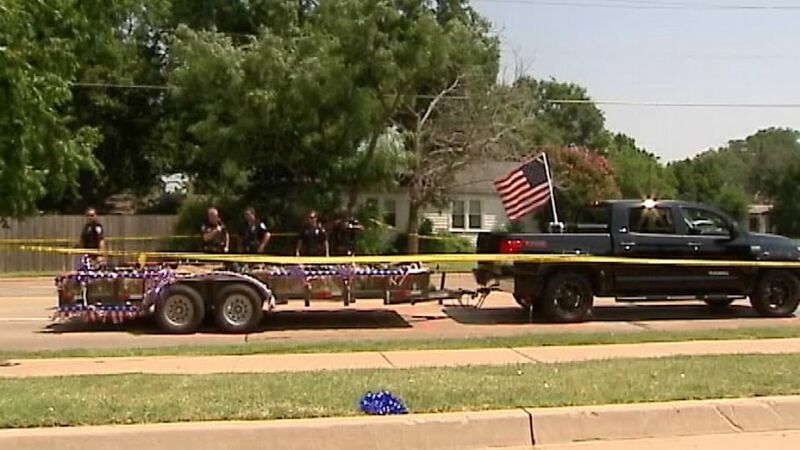 An 8-year-old boy riding in a Fourth of July parade in central Oklahoma died Thursday after his father accidentally ran him over. Source. 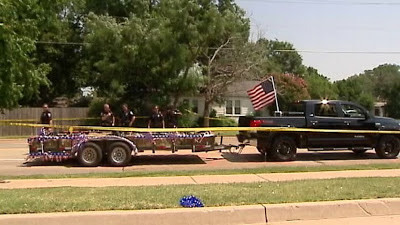 According to police, [the boy] was riding on a martial arts group's float at Edmond's LibertyFest. At some point he either fell or jumped off. Then the truck and trailer, which was loaded with bales of hay, struck him. Unfortunately, the driver couldn't see the boy and ran over him. He was pronounced dead at the hospital. Police Officer James Hamm says the driver was not being reckless or violating laws. "It's just a freak, unfortunate accident." Source. 'Runaway Train' and the French train that derailed on the 12th July. Not to mention Typhon (Soul)ik hitting China around the same day.